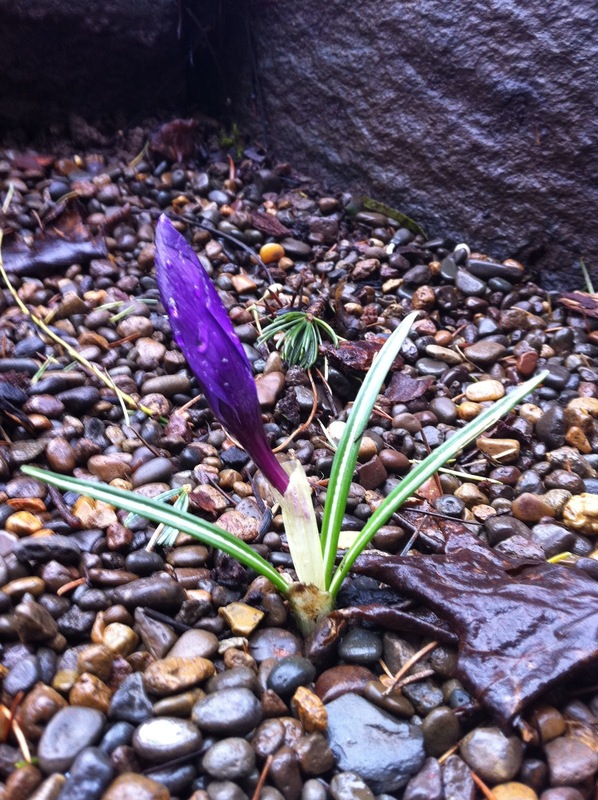 The first crocuses of spring are beginning to poke their heads inquisitively out. 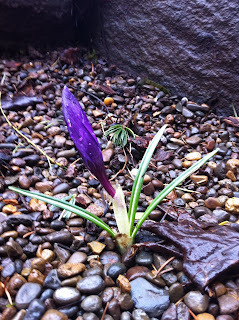 I've never particularly cared for crocuses as flowers, but the sight of them brings back fond memories. One or two of them would always bloom in the garden right in front of our house. When I was little, my mother would always keep a sharp lookout for them. At the sight of their first blossoms she would drag all of us children outside, point them out, and then have us link arms and skip around our driveway singing Gilbert & Sullivan's "The Flowers of Spring" from "The Mikado." Bring promise of merry sunshine! Of a summer of roses and wine! Tra la la la laha! Tra la la la laha! Tra la la la la la!" You spread rumors about my family with secrets like this just waiting to be told about your family? You are amazing.